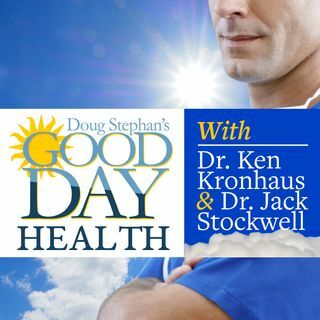 Host Doug Stephan and Dr. Ken Kronhaus discuss the three main actions you can take to survive Cancer. Next, there's news that over one-third of us taking drugs suffer from Depression, and Dr. Ken lists those drugs. New study shows that having your child's Tonsils removed shouldn't be automatic. And, there's more good news for those who drink three of four cups of coffee per day. Guess what? If you're under 65, you can't make up for lost sleep during the week by ... See More napping on the weekend. Studies show that the number of expectant mothers smoking Marijuana is rising. Dr. Ken lists the risk factors that you should know about suicide.